If you are considering applying for a new job, the first step is to look at the job description and work out if you have the relevant training and experience. But what if the job is municipal councillor? 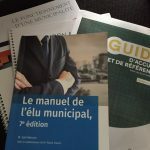 The Ministère des Affaires municipales et de l’Occupation du territoire (MAMOT) provides guidelines about what it takes to be a councillor ; broadly speaking, a sense of community commitment, a desire to listen and participate in decision-making, and some analytical capability. What MAMOT does not reveal is how greatly your expectations of being a councillor may differ from the reality of being a councillor. It’s probably different than any job you’ve ever had—not better, not worse, but certainly different. When I started my four-year mandate as a municipal councillor—nearly one year ago—there was much I simply did not know. As a small example, I didn’t know that a councillor cannot abstain from voting! By law, I must vote on every resolution and regulation presented in the council meeting; that is what I am there to do. The only exception is in a case of conflict of interest, in which case I must divulge my reason and then leave the room while the vote is taken. As a citizen, I didn’t think much about the law and if I did it was mostly as a set of prohibitions, i.e., what I must not do. But I have discovered, as a councillor, that a municipality thinks about the law all the time and in terms of all the things it must do. 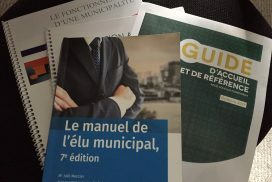 Here in Québec, there are roughly seven principal laws, plus about 20 others, each of which has some direct effect on the day-to-day operation of a municipality. These laws are lengthy, complex, and don’t always seem to make common sense but all must be respected. To begin to understand just those that relate to the duties and obligations of a councillor, I was required by law to attend an official ethics and code-of-practice training program. In addition, my new bedtime reading has become Le Manuel de l’élu municipal—all 400 pages of it! Another important facet of municipal life concerns confidentiality. No matter how much a councillor may want to be “transparent,” they can’t automatically share the information that has come to them due to their elected status. By law—there it is again!—information that a councillor might see during a caucus meeting must be kept confidential unless it is generally available to the public. My faithful manual takes great pains to stress that the obligation regarding confidentiality is fundamental and is to be taken seriously by the councillor; it extends not only for his or her term but exists even after the mandate ends. I am sure that all new councillors arrive wanting to change things, to improve things, to benefit the citizens that they represent, and I am no exception. In our private life, we assume we can just get on with changing things, only constrained by means and capability. But the way that a council gets things done is by regulation and resolution making the process seem much less direct, and certainly slower. The different roles and obligations of each of the participants in the process—the councillors, mayor, town manager, town clerk, treasurer and certain other employees—are defined by law (surprise, surprise! ), and each role must be respected. The primary role of the council is making decisions regarding direction and priorities, not day-to-day actions; that is the job of town employees. As my trusty manual points out, it is not within the power of a councillor to instruct or order a municipal employee. The real power of a councillor comes in the public council meeting when they vote for or against a resolution or regulation. It is only at that moment that decisions really come to life for a town. To vote effectively one must be capable of understanding the subject sufficiently to make an informed decision. That does not require a councillor to be a legal expert or a road expert or an anything else expert, but I find myself reading a lot of documents, on a wide variety of topics, to be sure that my vote is based as much as possible on facts and not opinion or hearsay. Lastly, I am struck by how what we see as citizens is only the tip of the iceberg when it comes to all the work needed to provide municipal services. We all are aware of the services we experience directly, like garbage collection and snow removal. But we remain blithely unaware of many other services until something goes wrong. Do you think much about the quality of municipal water until you get a boil-water advisory? Probably not. The reason the water is nearly always good is because someone is hard at work monitoring it. I confess that I had no idea of the extent to which many such behind-the-scenes services must follow prescribed procedures, with detailed reports to be written and legislation to be implemented from all the levels of government sitting above that of the municipality. This type of work takes an enormous amount of time, and, it seems to me uses a disproportionately large chunk of a smaller municipality’s manpower. But these procedures and deadlines cannot be ignored. Interested in learning more about municipal life? 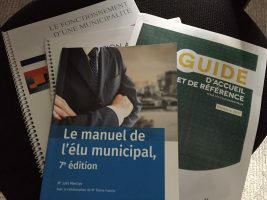 Do a search on the internet for MAMOT’s user-friendly Guide d’accueil et de référence pour les élus municipaux. To simply participate more actively in municipal life, attend your town’s public council meetings occasionally and see if your town has advisory committees or citizen groups that you can join. You can also check out the MAMOT website mamot.gouv.qc.ca, where you will find a section called Participation des citoyens. I have learned much in the last year. I have learned that the role of councillor is challenging, that it carries enormous responsibility, but is endlessly fascinating. I have learned the importance of putting aside opinion and bias in favour of facts and legal guidelines, even when that means a decision may be unpopular. I have learned that “you can please some of the people all of the time, and all of the people some of the time, but you can’t please all of the people all of the time!” Nonetheless, I have learned that I love it! Well, mostly. Disclaimer: This article is purely my own perspective and interpretation of the law. In no way am I speaking for my fellow councillors or in the name of the Town of Sutton.